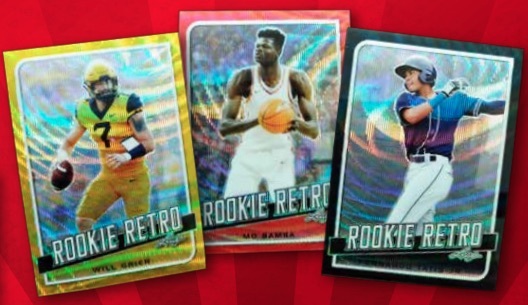 2019 Leaf Rookie Retro again goes with a multi-sport format for various rookie card buybacks. Similar to the 2017 iteration, each box has one buyback card that is professionally graded or authenticated. Sticking to first-year cards or those viewed as rookie cards, the 2019 Leaf Rookie Retro checklist brings the stars of several sports into the mix. 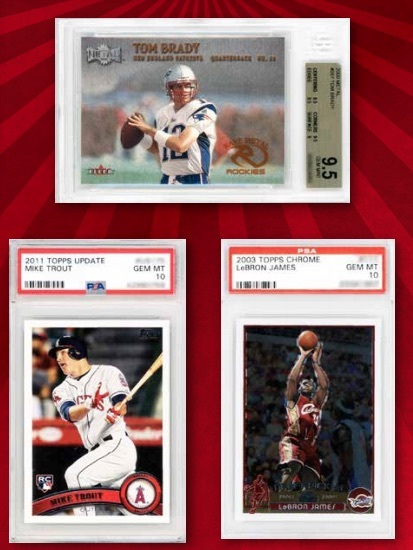 While the exact lineup is not likely to be revealed, Leaf teased images for modern and vintage rookie card from previous baseball, basketball, football and hockey sets. This includes popular brands from Bowman, Topps and Upper Deck. Each box also has an original 2019 Leaf Rookie Retro base card. Multiple parallels are expected and the cards look to be similar to the Leaf Metal style. 2014 PANINI SELECT JIMMY GAROPPOLO RC AUTO PRIZM REFRACTOR 38 75 BGS 9.5 1.